San Diego-based Illumina announced Thursday it will partner with a leading Chinese company to develop new oncology and hereditary disease testing applications for the world’s largest market. The project will utilize Illumina’s next-generation sequencing technology and Guangzhou-based KingMed Diagnostics‘ proprietary testing kits and software. Illumina called the collaboration a “significant step” toward approval by the China Food and Drug Administration that opens the door to delivering precision medicine to patients throughout China. KingMed Diagnostics operates a clinical network that serves more than 8,000 hospitals across China. “KingMed Diagnostics’ motivation is to improve diagnosis and treatment for the more than 4 million new cancer patients identified in China each year,” said Yaoming Liang, chairman and CEO of KingMed. 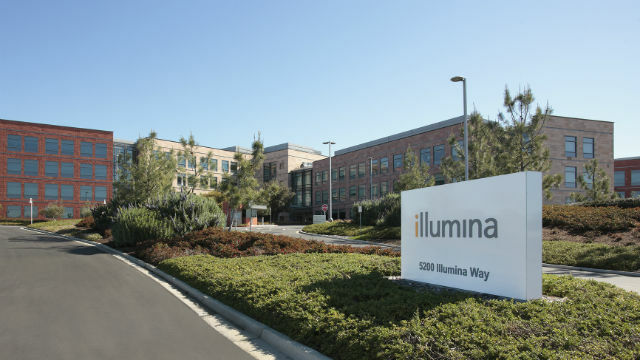 “Illumina is the ideal collaborator because they have a proven track record of working with multiple domestic companies in China, in addition to being the first company with a U.S. FDA-cleared, next-generation sequencing instrument,” he added.